An anthological exhibition dedicated to the artist Aldo Tagliaferro (Legnano, 1936 - Parma, 2009), curated by Alberto Zanchetta and achieved with the collaboration of Archivio Aldo Tagliaferro. 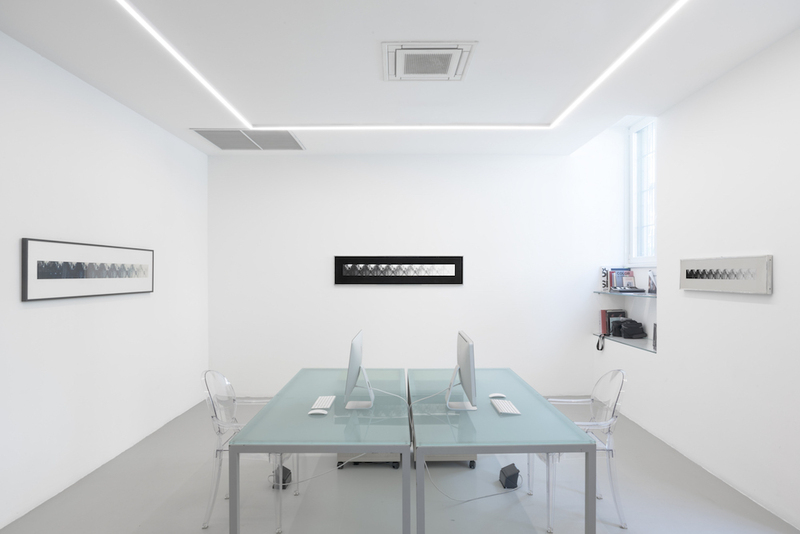 The solo show aims at enhancing the artist's work through the selection of historical and unique works that belong to a specific cycle, MEMORIA-IDENTIFICAZIONE – in una variabilità temporale (MEMORY-IDENTIFICATION – in a temporal variability), which is placed in an important period during which Tagliaferro enters fully into his definitive conceptual period, honing a new working method - that is for projects - to which he will remain faithful throughout his entire career. At the heart of the great work of Aldo Tagliaferro is the constant analysis of the human being, his eternal conflict with the "I" and the environment that surrounds it. His research, in addition to critically examining events in the social context, from the 70s onwards is oriented towards a more specific direction of human behaviour and, looking at different aspects, develops an investigation on memory and identification relating reality with an intimate moment. In the analysis of MEMORIA-IDENTIFICAZIONE – in una variabilità temporale, Tagliaferro uses two elements: memory and identification, because - as the artist said - «the sum of both these, parallel up to overlap, gives a knowledge of our self through lived experiences. This can affect us in the present time, because our behaviour is given by the sum of our assimilated experiences and the push towards the new, which change in relation to the real time that is the present». The exhibition opens in the main room with two important works on emulsified canvases: a diptych Particolare “IDENTIFICAZIONE MNEMONICA” (Detail "MNEMONIC IDENTIFICATION") (1972) and the monumental installation, composed of ten canvases, titled IDENTIFICAZIONE IN UNA VARIABILITÀ TEMPORALE (IDENTIFICATION IN A TEMPORAL OBJECTIVE VARIABILITY) (1973). Behind this works there's a set of elements used to create different possibilities for interaction between a photograph dated 1882, its repetitions varied in a scale of colours from white to black and the possibility, for everyone who looks at them, to choose their own 'identification frame'. 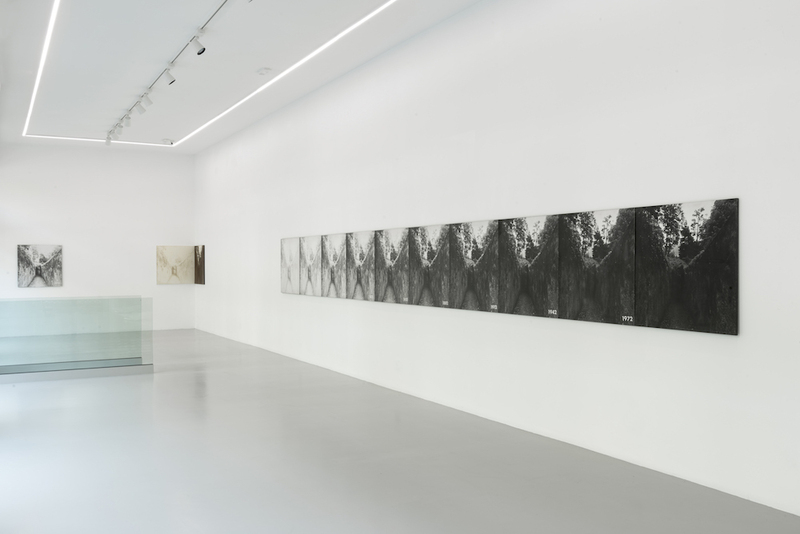 The large photographs are set up in the exhibition space in order to encourage the audience to feel part of the evoked environment. In the second room, the exhibition moves on with the section dedicated to the projects created in 1972: Studio per: MEMORIA-IDENTIFICAZIONE – in una variabilità temporale (Study for: MEMORY-IDENTIFICATION - in a temporal variability), MEMORIA-IDENTIFICAZIONE (variante blu) (MEMORY-IDENTIFICATION (blue version)) and Progetto per MEMORIA-IDENTIFICAZIONE – in una variabilità temporale (Project for MEMORY-IDENTIFICATION – in a temporal variability). Here it is possible to view the genesis of the artist's focus on Memory. 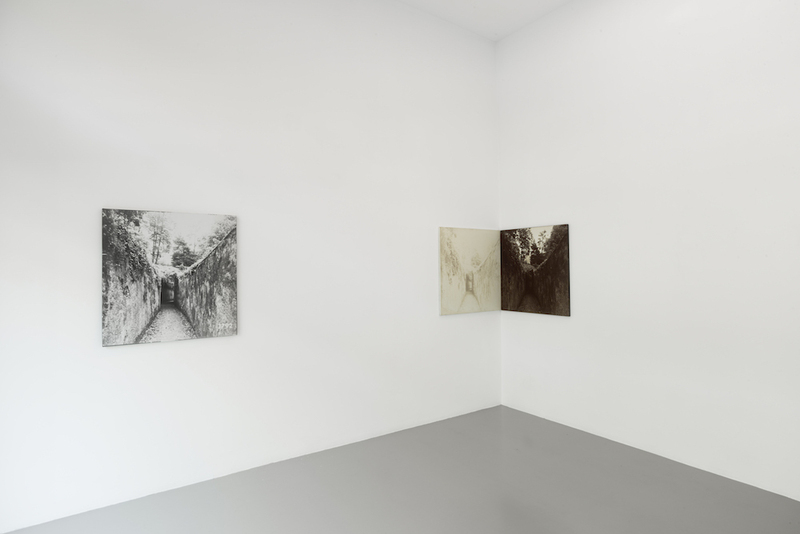 The same photograph that characterizes the canvases is repeated on cardboard as if to make it temporally verifiable, so suggests Tagliaferro when he defines the four ways of using the photographic image. The uniqueness of these selected works and, above all, the theatricality of the installation become, for the viewer, a physical materialization of the scene that allows us to understand, from the philological point of view, the complete project vision of one of the greatest protagonists of conceptual art. Aldo Tagliaferro was born in Legnano in 1936. At the beginning of the 60s, he devoted himself to the artistic profession and in 1963 he held his first solo show at Associazione di Legnano. After a period in which he reconsidered his work, he begun a documentation and analysis of the socio-political context and of human behaviour. Photographic images borrowed from news sections brought him closer to reality. In 1969 he joined the Mec-Art. From 1971 onwards he continued his photographic research in an autonomous way. Among his exhibitions, we can recall the 35th Venice Biennale (1970), Combattimento per un'immagine (1973), Fotomedia (1974-1975).